We’ve just completed two fast-paced refurbishment projects in London as part of our new Washroom Refresh service – transforming the existing washroom areas in a matter of days. Working at an office in the heart of the City of London, we refurbished the male, female and disabled washroom facilities on level two of the building on King William Street, and we’re now looking at additional works to the same spec on level three. Here we wrapped the toilet cubicle doors using architectural film from LG Hausys in a brilliant white which, along with the matt black DDA compliant ironmongery and taps, create a contemporary monochrome finish. We also installed new Corian trough vanities and our Tego hinged mirror and above vanity storage. We’ve also recently completed a project for another London office building, this time on the city’s Aldersgate. We worked directly with the client on the design for the male washroom and we’re now looking at rolling the same design out to the female washroom areas. 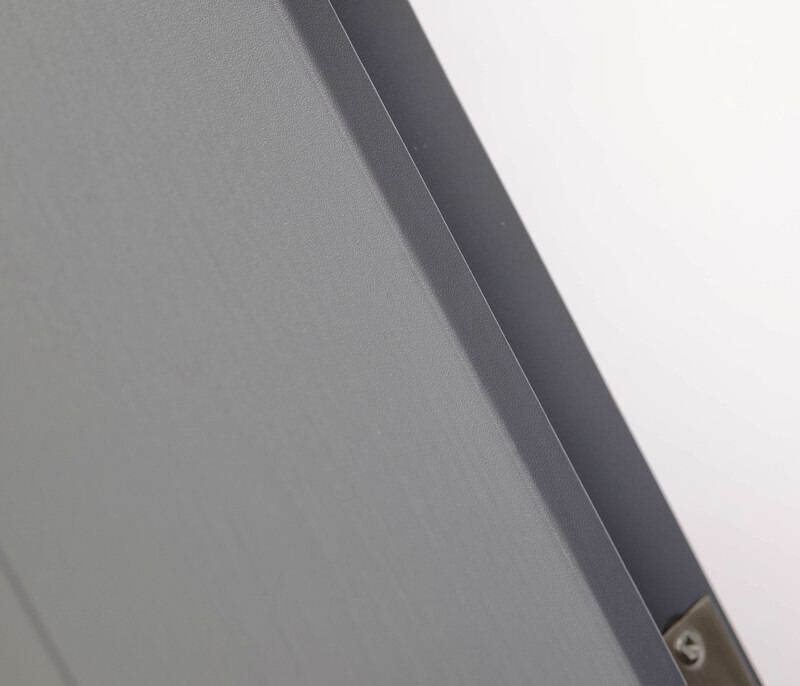 We applied a solid dark grey architectural film, again manufactured by LG Hausys, to the full height toilet cubicle doors. Our Concerto laminate urinal duct panelling, finished in a light grey, together with glass dividers and a laminated glass privacy screen which we installed as part of the project adds to the sleek finish. 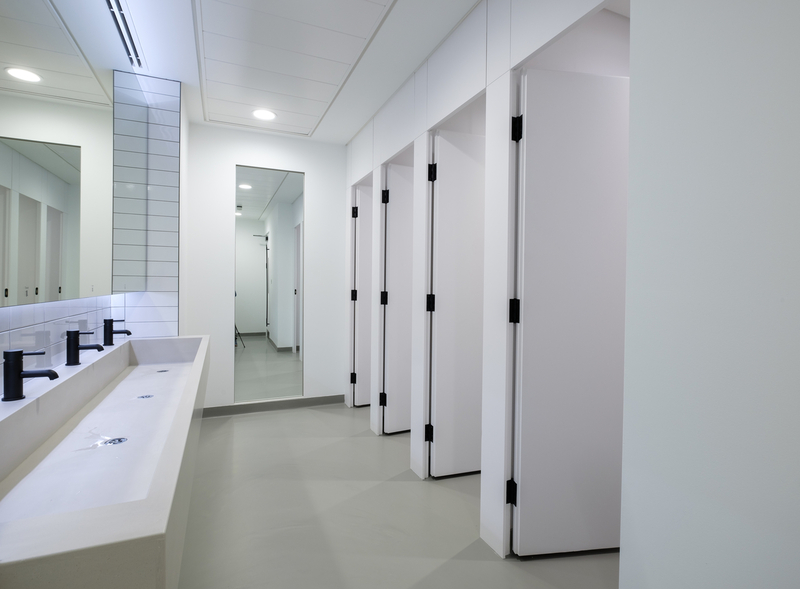 For both projects we were able to reuse the existing toilet cubicle doors by wrapping them in architectural film, once the surfaces had been suitably prepared. As well as being more sustainable, this also meant we were able to complete works on each washroom in just two to three days on average. The new Washroom Refresh service offers a huge range of textured finishes with more than 1000 in total to choose from, including faithful reproductions of wood, metal, marble, leather and stone as well as solid colours. The films used are extremely durable, being stain resistant as well as easy-to-clean and repair, and both clients are delighted with the finish so much so that they’re looking at additional works using the same process.